IN THE EPA PROPOSED PLAN, the North and South compounds would be remediated by dry excavation of the toxic wastes. There would be no wet dredging. This method contains the toxic wastes. 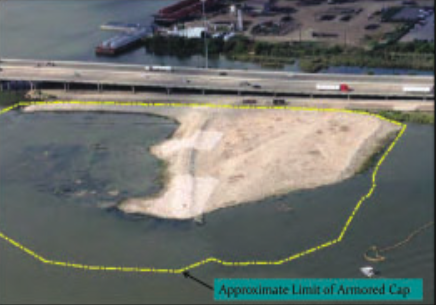 DALLAS – Sept. 28, 2016 Today, the U.S. Environmental Protection Agency (EPA) announced the proposed plan to address contamination at the San Jacinto waste pits Superfund site in Harris County, Texas. After careful review of all available information, EPA’s preferred remedy proposes removing a total of about 202,000 cubic yards of contaminated material from the northern and southern impoundments at a cost of nearly $96.9 million. ARCHITECT’S RENDERING OF THE NEW JACINTO CITY POLICE STATION. JACINTO CITY – A major new building is set to be built, as groundbreaking ceremonies last Friday marked the start of construction for a new 2story police station. The new building is to be built immediately behind the existing station, and when completed the old facility will be torn down, and replaced with parking and landscaping. City Manager Lon Squyres said that “while the city recognized the need to replace the police station years ago, a fire in the attic in September of last year reinforced the commitment to hasten this project. The damages were over $100,000 and severely impacted the ability of the officers to do their jobs. The new station will meet modern life safety codes and will be very energy efficient. In addition to areas for general police work, there will be several holding cells, offices, a workout room, fingerprint lab and a large conference room that will also serve as the Emergency Operations Center during disasters.” In addition there will be 9 holding cells, 6 for men and 3 for women. The Chamber announces an exciting and fun membership drive, headed by Dr. Charles Grant. 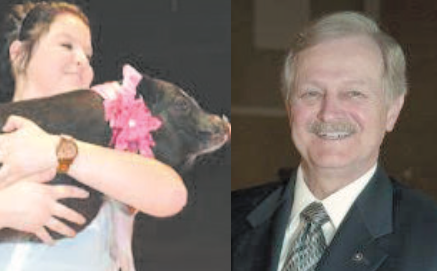 In January, the North Channel Area Chamber of Commerce will celebrate their 40th Anniversary. To start the celebration off, we aim to bring in 40 new members in four weeks. We plan to kickoff the drive on September 27 and end October 21. October 17 –21 is Texas Chamber of Commerce Week. Charles Grant is relying on his Membership Team Captains, essentially the board members and officers, to each bring in two new members to reach the Chamber goal of 40. You can help by contacting a team captain, as listed on page 8. The new metal building on Freeport Street is an addition to the North Channel Assistance Ministries main building. It still needs work to finish the interior offices and work areas. 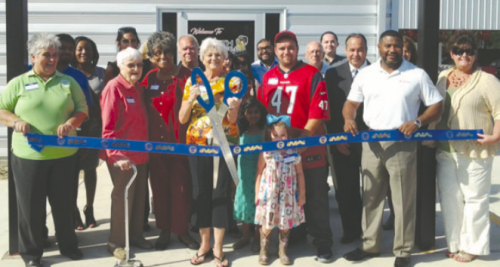 NORTH CHANNEL – The Assistance Ministries extended their ability to serve needy families in the North Channel and adjacent communities, with the opening of an addition to their building on Freeport Street. A ribbon cutting was held on September 22 to officially inaugurate the new building. NCAM serves hundreds of families each week, with food and other necessities. At present the interior work has not been completed. When done, the new building will house offices, a public reception and waiting area, a counseling and interview office, and some additional work areas and storage. New paved parking and handicap parking also complement the building. NCAM director Rodney Redford emphasized that fund raising for this building continues. Contact him at 713-453-8028. The North Channel Chamber held a ribbon cutting for the new facility, on September 22, Cutting the ribbon is Gayle Redford, with NCAM director Rodney Redford directly behind her.